Frequentis’ Location Information Service provided situational awareness for ground control stations during NASA’s latest Unmanned Aircraft System (UAS) Traffic Management (UTM) flight tests at Reno Stead airport in Nevada. Drone Co-Habitation Services LLC, partnering with Frequentis, participated in NASA led test to track flight missions and facilitate air traffic management of drones. 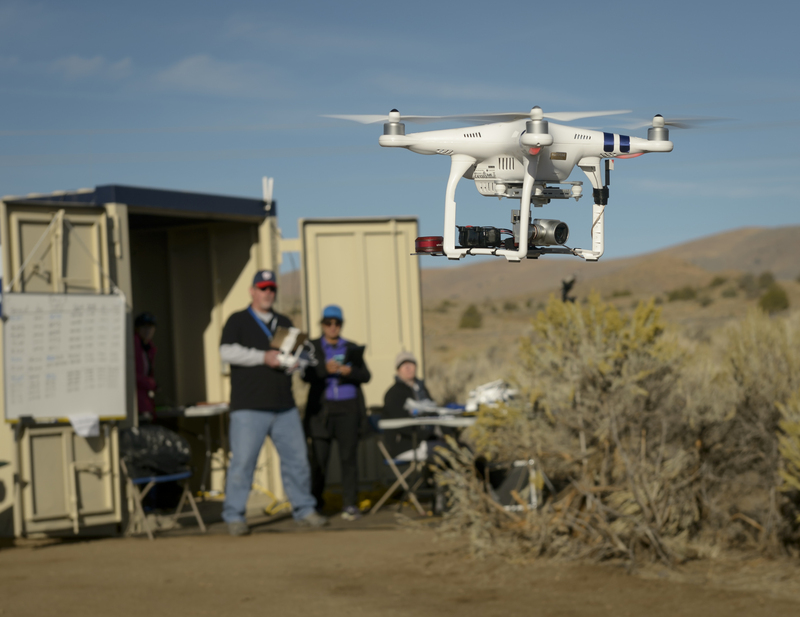 During the month of October NASA conducted its latest series of drone flight tests at Reno Stead Airport in Nevada. Multiple teams flew their drones beyond the line of sight of their operators in order to test the planning, tracking and alerting capabilities of NASA’s UTM platform. The Frequentis Location Information Service (LIS) is at the core of the company’s UTM client software and provided accurate geo-location and telemetry data received from Drone Co-Habitation Services LLC (DCS) drones and other UAS detected by the LIS service. The LIS service read the data, transformed it into structured messages, and submitted it for processing to the central UTM service operated by NASA’s Ames Research Center. NASA’s ‘out of sight’ tests, conducted in coordination with the Federal Aviation Administration and several partners, were the latest waypoint in solving the challenge of drones flying beyond the visual line of sight of their human operators without endangering other aircraft. Frequentis is actively participating in research activities and cooperates with Air Navigation Service Providers (ANSP) around the globe to integrate small UAS into the airspace as the number of drones is expected to exceed the number of aircraft in approximately 5 years. At the moment, small UAS flight operations are only permitted in uncontrolled airspace up to 400 feet, and respectively 500 feet depending on national regulations, within visual line of sight of the pilot. This exempts them from classic air traffic management, which raises major safety concerns for ANSPs. “Drones are causing a major disruption in today’s air traffic management systems. We see many new stakeholders that would like to fly in controlled and uncontrolled airspace. As a leading provider of advanced ATM solutions, Frequentis is contributing to the development of new concepts for unmanned aircraft systems traffic management (UTM)”, states Hannu Juurakko, Vice President ATM Civil at Frequentis.